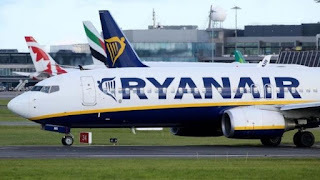 Embattled low-cost airline Ryanair said its chief operations officer will depart the company at the end of the month. Michael Hickey will be the first executive to leave the company after a rostering error led to the cancellation of thousands of flights. In his role, Mr Hickey was responsible for scheduling shifts for pilots. Chief executive Michael O'Leary earlier faced calls to resign over his handling of the mishap. Mr O'Leary on Friday said Mr Hickey "will be a hard act to replace".